Over the last decade, the rapid development of a vast array of techniques in the fields of cellular and molecular biology has transformed whole areas of research across the biological sciences. Microbiology has perhaps been influenced most of all. Our understanding of microbial diversity and evolutionary biology, and of how pathogenic bacteria and viruses interact with their animal and plant hosts at the molecular level, for example, have been revolutionised. Perhaps the most exciting recent advance in microbiology has been the development of the interface discipline of cellular microbiology, a fusion of classic microbiology, microbial molecular biology and eukaryotic cellular and molecular biology. Cellular microbiology is revealing how pathogenic bacteria interact with host cells in what is turning out to be a complex evolutionary battle of competing gene products. Molecular and cellular biology are no longer discrete subject areas but vital tools and an integrated part of current microbiological research. As part of this revolution in molecular biology, the genomes of a growing number of pathogenic and model bacteria have been fully sequenced, with immense implications for our future understanding of microorganisms at the molecular level. Advances in Molecular and Cellular Microbiology is a series edited by researchers active in this exciting and rapidly expanding field. Each volume focuses on a particular aspect of cellular or molecular microbiology, providing an overview of the area, as well as examining current research. This series will enable graduate students and researchers to keep up with the rapidly diversifying literature in current microbiological research. Cellular microbiology is an exciting new interface discipline, which bridges the gap between microbiology and cell biology. Advances in Molecular and Cellular Microbiology is a series edited by researchers active in this exciting and rapidly expanding field. 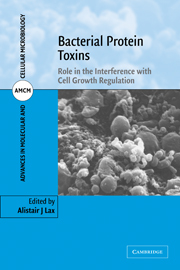 Each volume focuses on a particular aspect of cellular and molecular microbiology, providing an overview of the area, as well as examining current research. This series will enable graduate students and researchers to keep up with the rapidly diversifying literature in current microbiological research.